I'm telling you they bring in the new year here with quite a bang!! Literally, fireworks started at 4:30 and continued till about 1am!!!! They are allowed to shoot fireworks here, anywhere, everywhere. So I suppose everyone was having their own fireworks show, making for quite a spectacular sight overlooking the village. 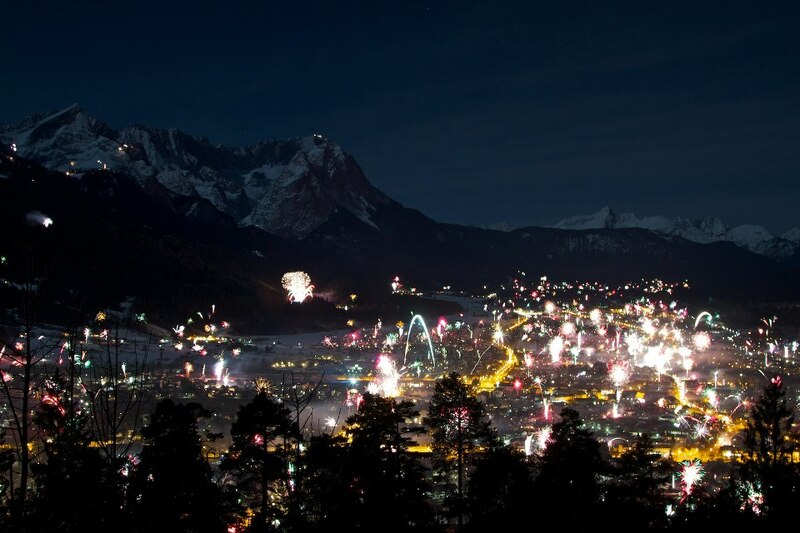 The following photo is courtesy of Edelweiss Lodge and Resort very close to where we live...where folks ski, snowboard, hike, camp....also home to the highest peak in Germany, the Zugspitze! This morning over breakfast, we had our first New Year's discussion...we each got a mason jar. There are so many negative distractions in life, aka people, sickness, bills ect. so 2013 let's focus on on the positives, the blessings that come our way EVERY day that we take for granted and sometimes easily forgot. So today we decided to fill our jar till the end of the year with little notes of blessings that come our way. We will only read these when we are feeling down and need a reminder of all the wonderful things we've done or have received. Then on New Year's Eve will will open our jars and share all the good 2013 brought us. Do you have any New Year's traditions or fun ideas? 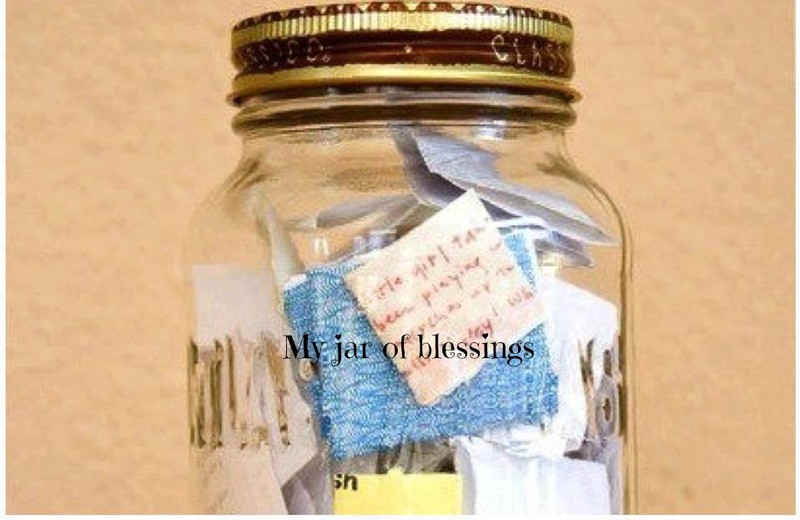 I love the Blessing Jar idea. Do you each have your own personal jar? Fondue every New Years Day!! I think this is a lovely idea and one I want to start even if it's a little past New Years. 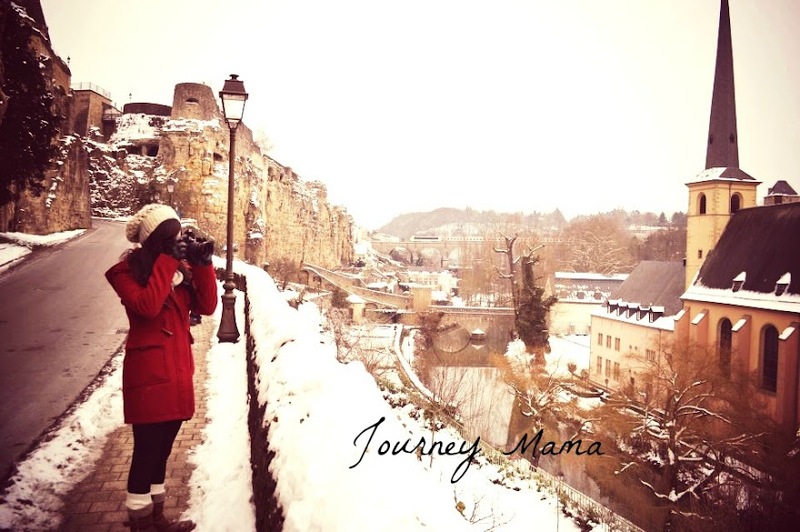 One of my resolutions was to start posting on my blog again and to be sure to comment on blogs I love instead of lurking in the shadows.